← the weight of fluid. Celebrating 31 weeks! Baby Gabriel is 31 weeks, and each one is a miracle. So thankful to have him, know him, and we so look forward to meeting him in many weeks. 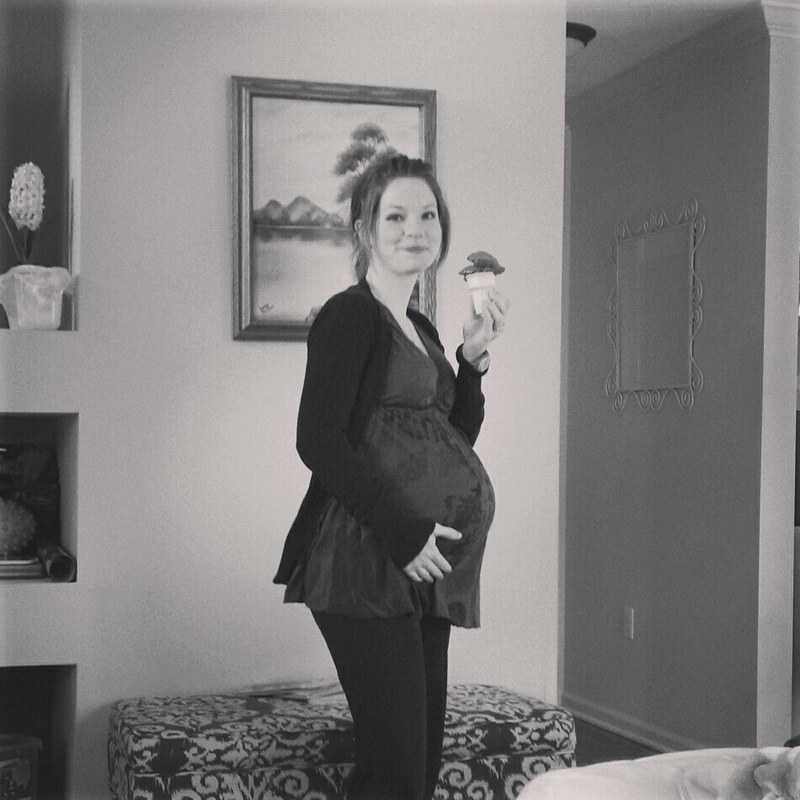 I celebrated 31 weeks yesterday with an ice cream cone. Classic cake cone — Tommy thinks my choice was weird. He says waffle cone all the way. I hope it is warmer and sunnier where you are today than it is here. Snow does not spell spring to me, but apparently it’s happening all over the country. Except for all of those who’ve vacated the state for sunny Florida for spring break. I’m super jealous at every one of those pictures that pops up on facebook of someone on the beach.